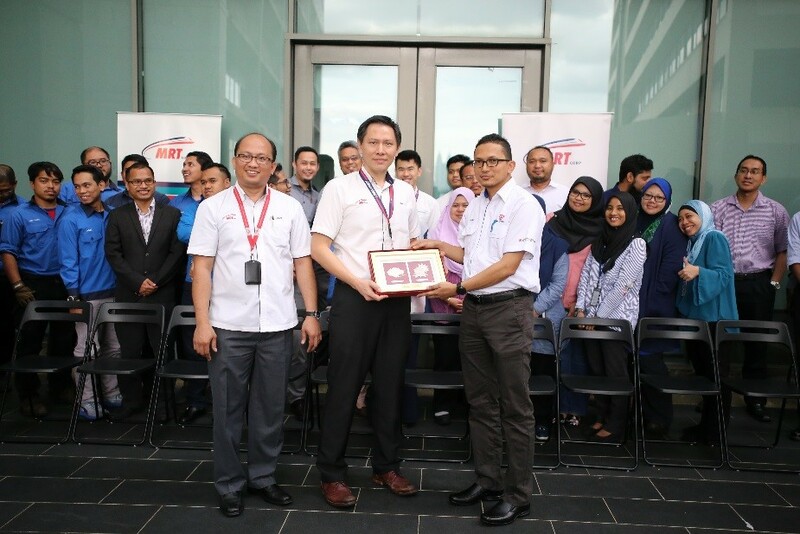 A delegation from Tenaga Nasional Berhad (TNB) visited Mass Rapid Transit Corporation Sdn Bhd (MRT Corp) on 28 January 2019 for an information sharing session. 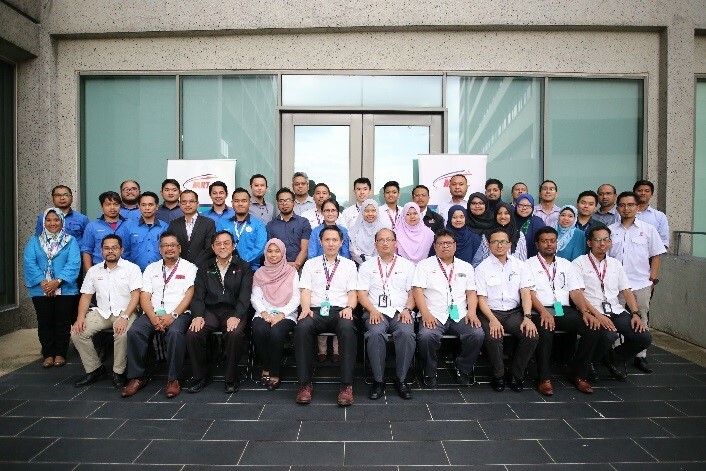 The delegates, led by Senior Civil Engineer Muhd Azrul Aziz, consisted of 16 officials from the Grid and Energy Ventures divisions of TNB with the objective to learn about how Geographic Information System (GIS) and Unmanned Aerial Vehicle (UAV) were used in the MRT Sungai Buloh-Serdang-Putrajaya (SSP) Line, particularly for the alignment planning, land acquisition gazetting and land asset management processes. 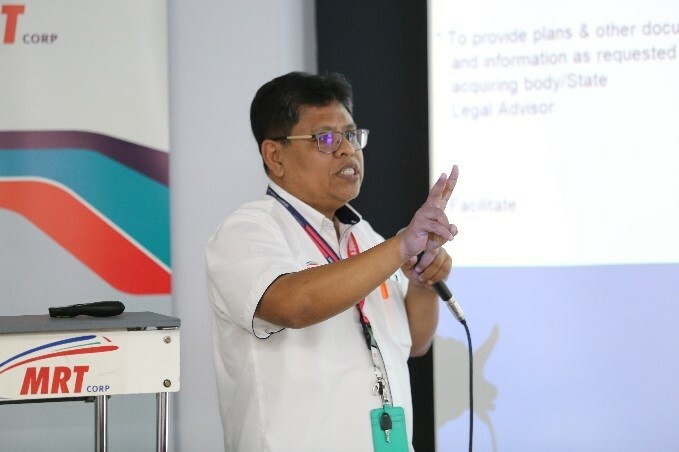 The session, held at MRT Corp Headquarters, started with MRT Corp Planning and Design Director Er Poh Seng Tiok welcoming the visitors and sharing the background of the MRT Project. 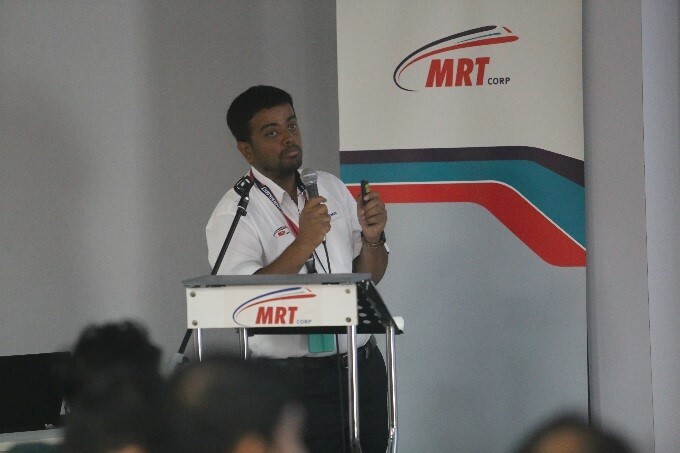 MRT Corp Planning and Design Deputy General Manager, Shubaib Khaiser was the first speaker and he deliberated on the alignment planning process which included among others, railway alignment selection process, modes of transport and track alignment design criteria. The land acquisition and gazetting process was the next item on the agenda. 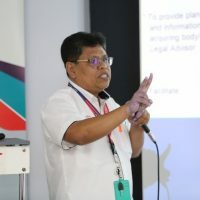 MRT Corp Assistant General Manager for Commercial and Land Management, Azhar Abdul Aziz explained about this as well as sharing the property law on stratum. 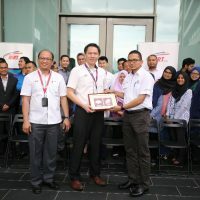 Azerul Fahmi Mohamed, MRT Corp Operations and Asset Management Manager then accompanied Muhammad Zulqarnain Ismail, MRT Corp Planning and Design Deputy General Manager and MRT Corp Assistant Manager for Development Building Control, Sharizal Mohd Salleh to present the methods of land asset management. 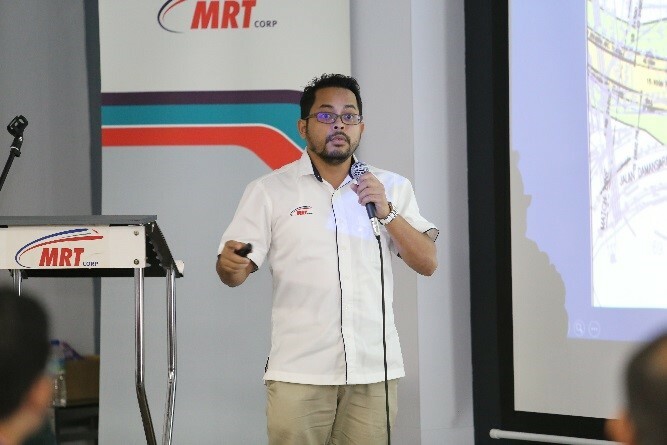 GIS was presented next, by MRT Corp Planning and Design Senior Manager, Ahmad Aswadi Yusof. 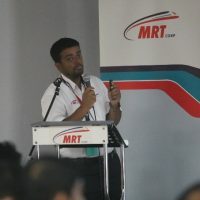 He shared the MRT Project goals for GIS which are to develop and implement an innovative information management tool using GIS application as shared services to serve all MRT Corp Divisions for storing, discovery, access, sharing of data as well as integration and information exchange that will enhance the organisation’s planning, operations, management and decision making during the entire lifecycle of the Project. Ahmad also explained on the use of UAV. He talked about UAV mapping best practices in terms of data processing, flight mission, survey control, flying permits and planning. 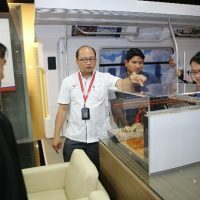 The session continued with MRT Corp Planning and Design Deputy General Manager Yeap Beow Heng, who underlined the utilisation of Building Information Modelling (BIM). 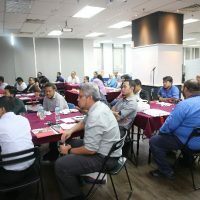 BIM is a dynamic set of procedures, processes, people and technology that generate an interactive methodology to manage the design and the data of a project in a digital format throughout the whole life cycle of the building’s life. 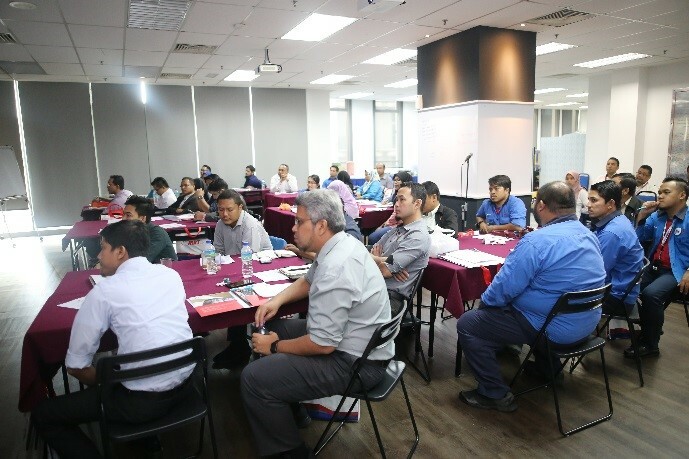 The Project has, so far, developed a robust BIM Level 2 process which allowed collaboration and comprehensive documentation such as BIM Employer Information Requirement, Project Glossary and KVMRT Classification Guide. 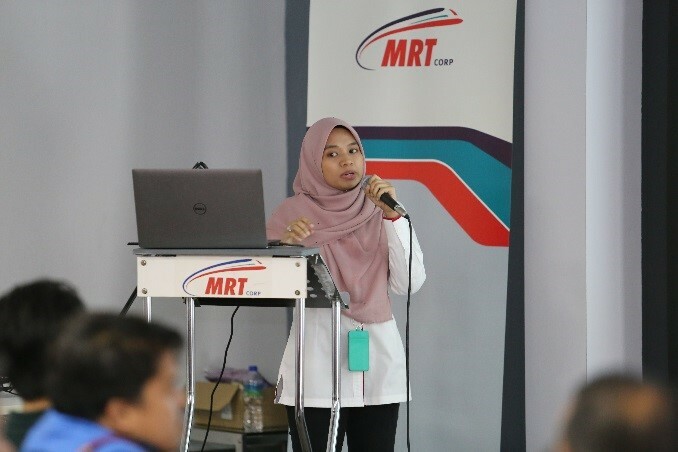 MRT Corp Project Engineer from Planning and Design, Aina Syafiza Jamalulail then shared her knowledge on the BIM solutions for SSP Line. 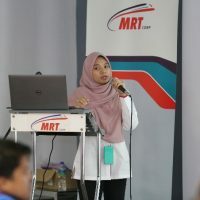 She said that MRT Corp has moved from on premise server to cloud based server implementation which provided better reliability and availability of all data for the Project. 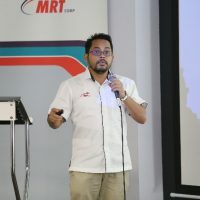 A virtual design review presentation was delivered by MRT Corp Planning and Design Engineer Chong Min Chun, as the last speaker of the session. Virtual design review is a process of reviewing the design of the building collectively using a federated model and it is led by the assigned BIM coordinator for each location. 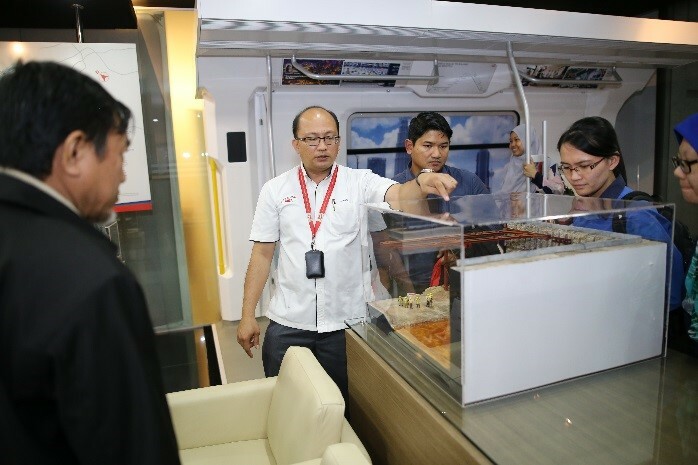 The session ended with the delegates having a tour of the MRT Gallery.